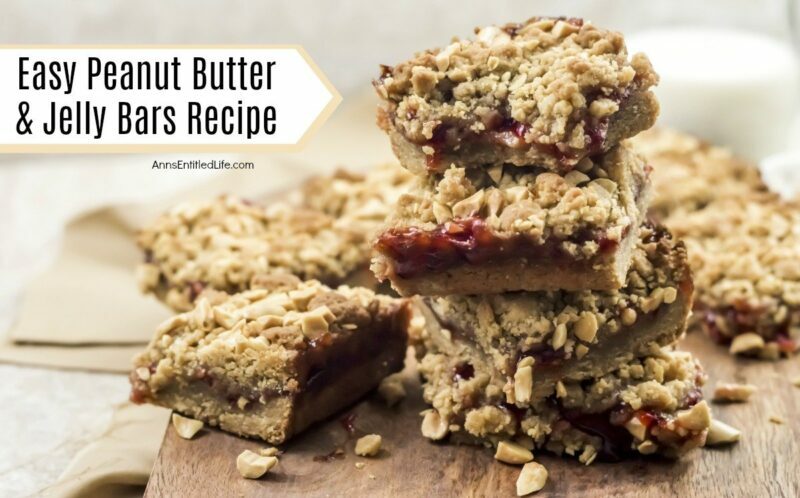 If you are looking for an easy to make snack, a lunchbox sweet, or an after-dinner dessert, look no further than this easy to make Peanut Butter and Jelly Bars Recipe. The great taste of old-fashioned PB&J in a delicious bar form. Your entire family will love these tasty treats! My niece used to sell baked goods at local farmers markets, fairs, etc. She has been coming over for the last month or so with a whole bunch of her recipes, and we have been making them and photographing them to share with you. 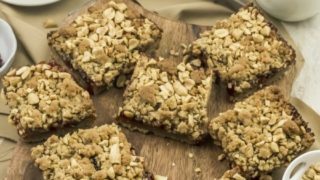 I chose these PB&J bars to share first (we did a LOT of recipes) because they are easy to make and delicious. I mean really, really good. I am not a peanut butter and jelly fan, but I loved these. We used raspberry jam in the recipe photographed. For selling purposes, she used grape jelly because it is economical. 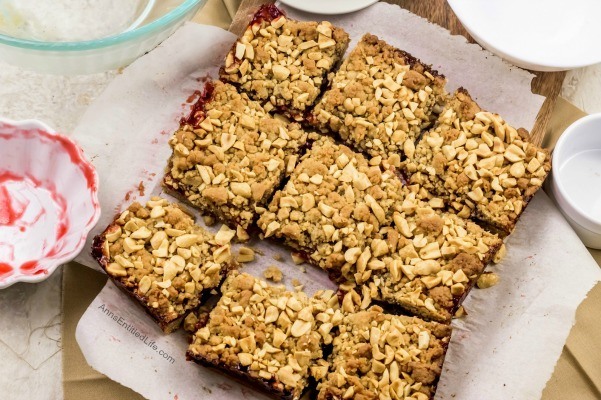 When telling me stories about how this-or-that recipe was received, I assumed these Peanut Butter and Jelly Bars went over better with children than adults. I assumed wrong. She said the adults would buy one, and the following week come back and buy two or three. That made me laugh out loud. Now, since we are baking so many sweets and Hubby has been on a no-sugar kick for “us” since April, I keep one of each sweet for him, and one for me (forget our sharing, our love only extends so far) and that is our “cheat day.” The rest of the sweets my niece’s husband takes into work and shares with his coworkers. Her hubby has become super popular at work!! And, apparently, my niece has to make more to send in of these Peanut Butter and Jelly Bars as they were very well received. 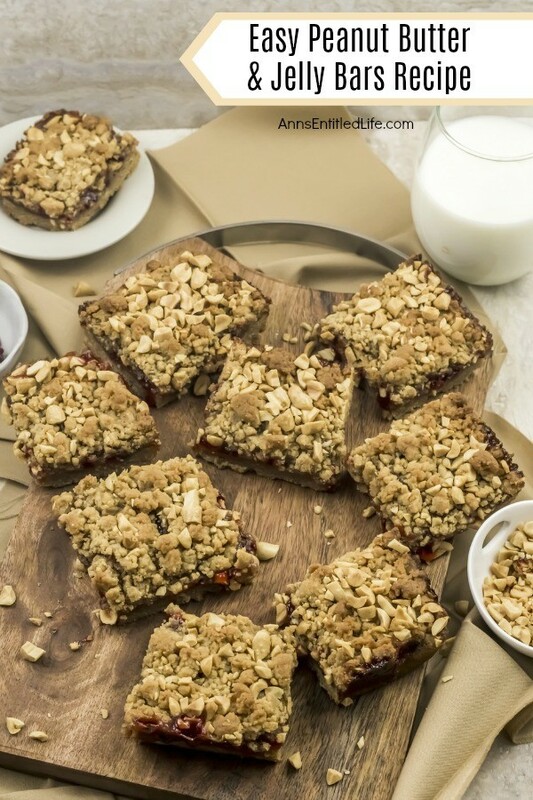 • The photos show PB&J bars made with raspberry jam. My niece usually used grape jelly. Blackberry (especially seedless) and blueberry jams are also excellent pairing choices. 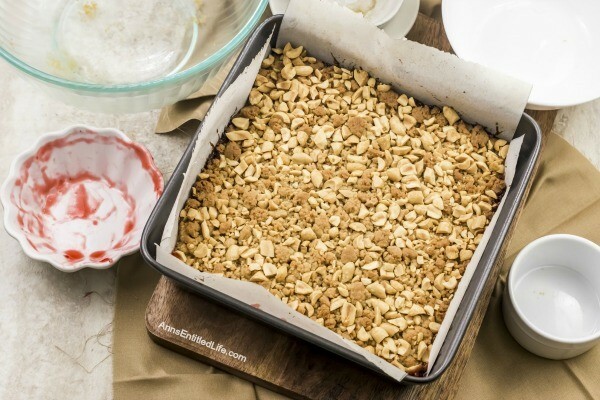 • The recipe is made using an 8″x8″ baking pan. 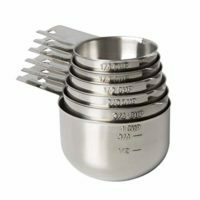 If using a 9″x9″ baking pan, bake for 25-27 minutes instead of the listed 30 minutes. • Lightly spray an 8″x8″ baking pan with non-stick spray. Place one sheet of parchment paper across the pan. Place a second sheet of parchment paper across the first sheet (to form an +). Set aside. 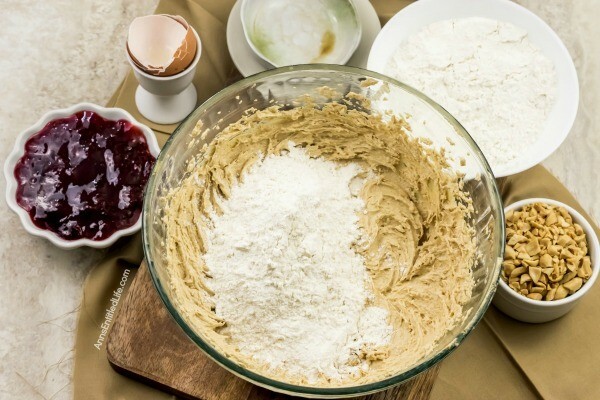 • Combine flour, baking powder and salt in a bowl; set aside. 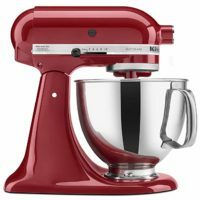 • Using an electric stand mixer combine peanut butter, sugar and butter. Beat until smooth. • Add egg and vanilla extract; beat until smooth. 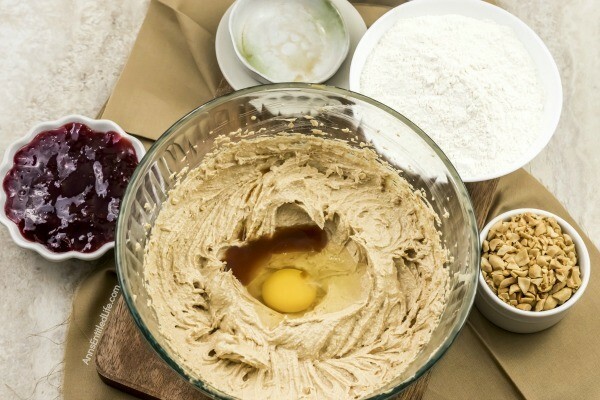 • Gradually add flour mixture and beat until smooth. 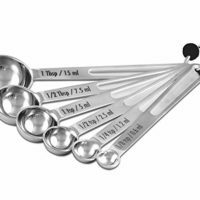 • Transfer half of mixture, about 1½ cups, into prepared 8″x8″ pan. • Press dough into the bottom of the pan until you have a smooth layer in the bottom of the pan. 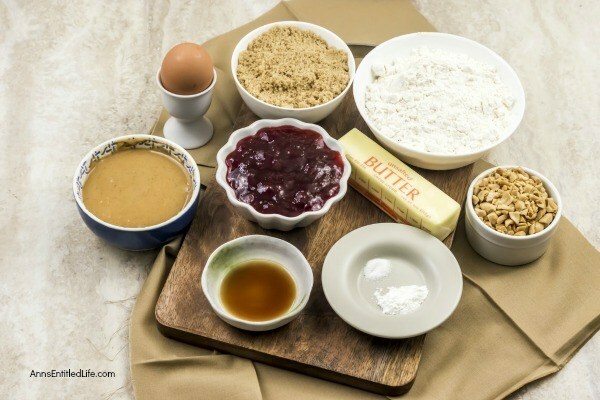 • Evenly spread jam or jelly over the peanut butter layer. 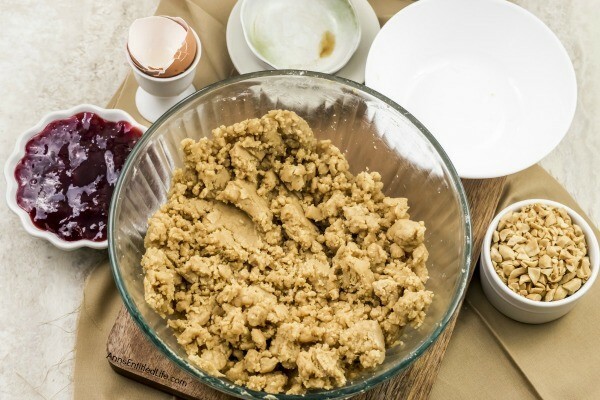 • Take remaining dough and crumble over the top of the jelly/jam. • If you are using chopped peanuts, sprinkle them on top off the crumbled top. • Bake for 30 minutes. • Remove from oven and allow to cool completely before removing from the pan. 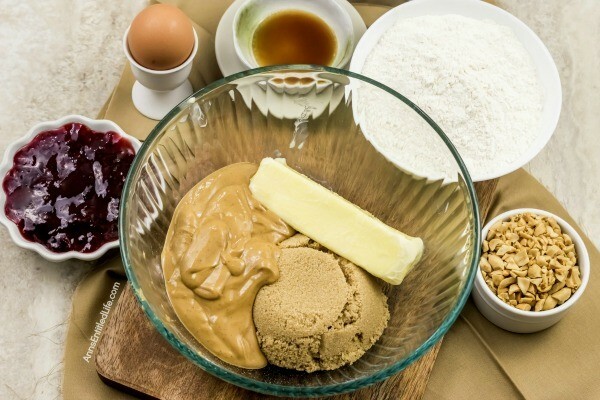 • To remove the bars, simply pinch the parchment paper at the opposite side (so the weight of the PB&J bars is supported), lift up the bars, and place them on a cutting board. 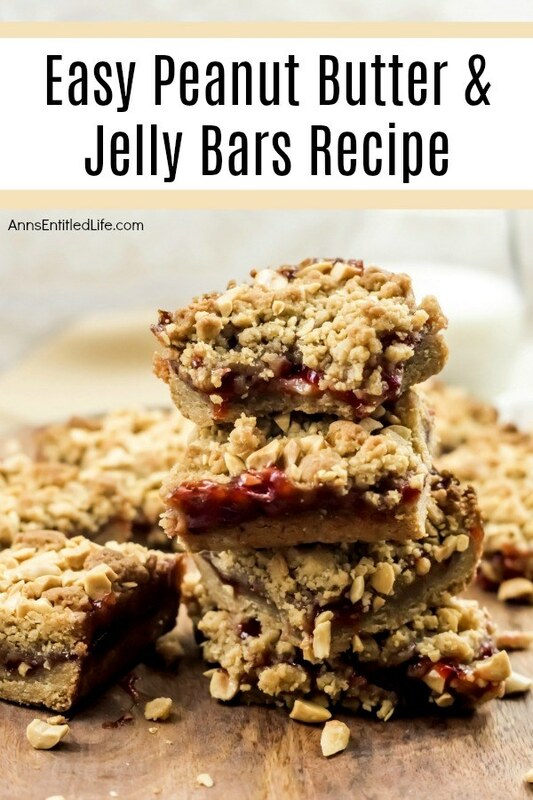 If you are looking for an easy to make snack, a lunchbox sweet, or an after dinner dessert, look no further than this easy to make Peanut Butter and Jelly Bars Recipe. 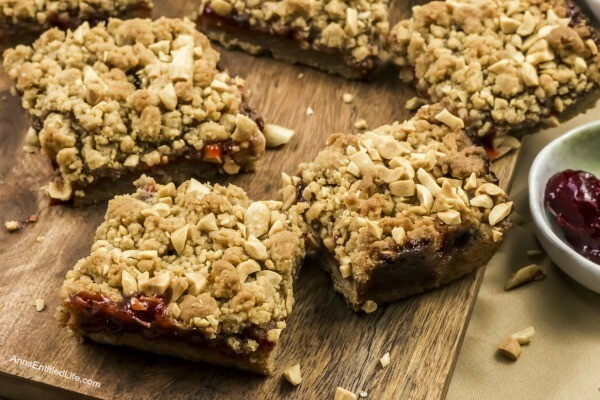 The great taste of old-fashioned PB&J in a delicious bar form. Your entire family will love these tasty treats! Lightly spray an 8″x8″ baking pan with non-stick spray. 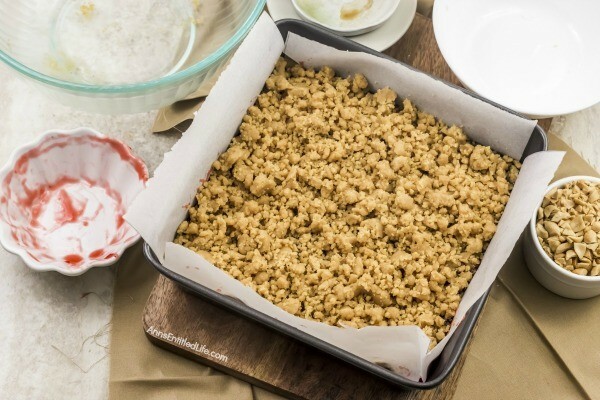 Place one sheet of parchment paper across the pan. Place a second sheet of parchment paper across the first sheet (to form an +). Set aside. Using an electric stand mixer combine peanut butter, sugar and butter. Beat until smooth. Add egg and vanilla extract; beat until smooth. Gradually add flour mixture and beat until smooth. Transfer half of mixture, about 1½ cups, into prepared 8″x8″ pan. Press dough into the bottom of the pan until you have a smooth layer in the bottom of the pan. Evenly spread jam or jelly over the peanut butter layer. 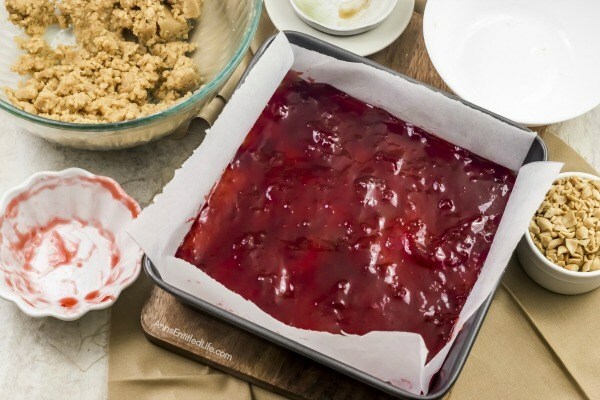 Take remaining dough and crumble over the top of the jelly/jam. If you are using chopped peanuts, sprinkle them on top off the crumbled top. Remove from oven and allow to cool completely before removing from the pan. 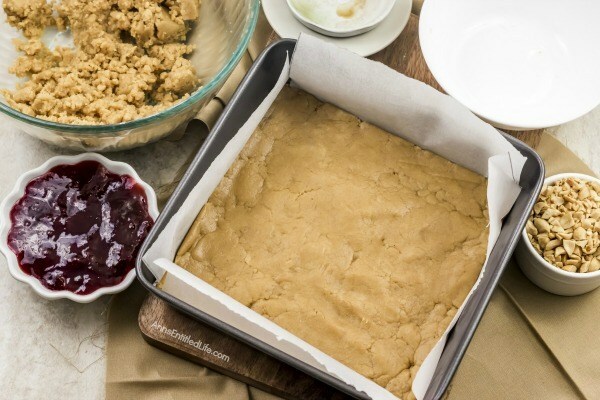 To remove the bars, simply pinch the parchment paper at opposite side (so the weight of the PB&J bars is supported), lift up the bars, and place them on a cutting board. 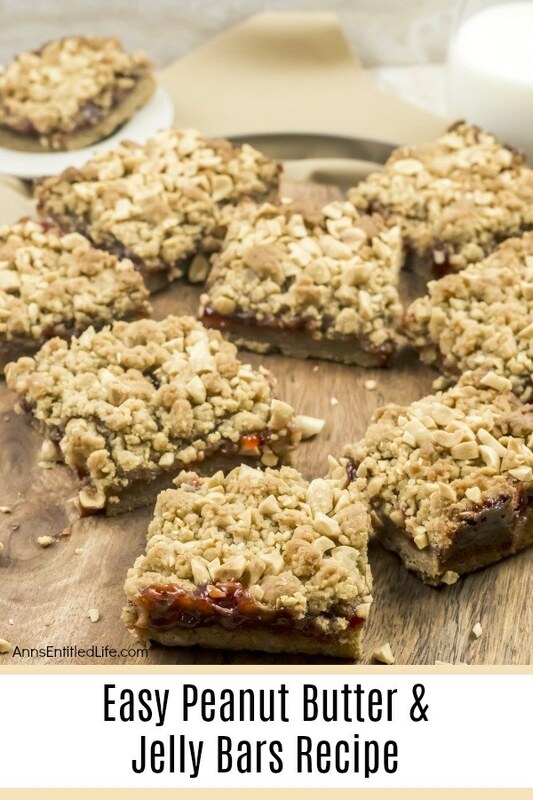 • Gluten-Free, Dairy-Free, Egg-Free, Oatmeal Crumble Bars Recipe – Bursting with fresh fruit goodness, these Gluten-Free, Dairy-Free, Egg-Free, Oatmeal Crumble Bars taste fabulous. If you are looking for an easy to make gluten-free, dairy-free, egg-free dessert that is also delicious, this is the recipe for you! • Golden Grahams® S’mores Brownies Recipe – You do not need a campfire to get the great taste of S’mores. This updated twist on traditional s’mores is made with delicious, sweet golden Grahams cereal. Great for parties and snacks, this easy to make golden Grahams s’mores brownies recipe will quickly become a family favorite. 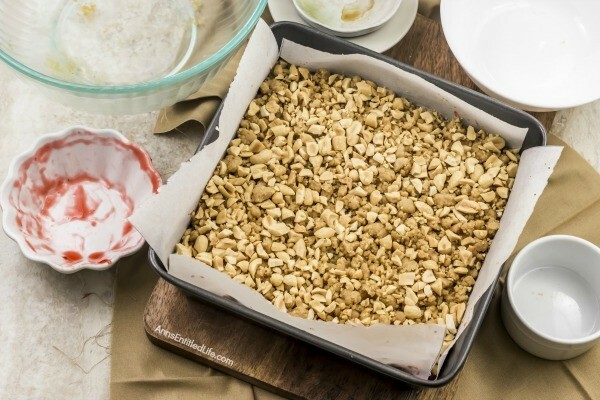 • Chocolate Cashew Bars Recipe – A delicious, satisfying, chocolate cashew bar that holds up for days after you make them. These taste like chocolate bars, and are amazingly good! Cut them thick or thin, they are a great lunch-box, or anytime, snack. This might be a great treat for the kids to take to school for a mid-day snack. Thanks for sharing your recipe on Merry Monday. Pinned.